Well away from the 750v third rail, Class 421 3-CIG 1499 stands at Lydney on the Dean Forest Railway on 19 August 2006. The South West Trains livery and Fratton depot sticker seem a little out of place in rural Gloucestershire, but then again Scottish Class 27 27066 on the left is even further from home! 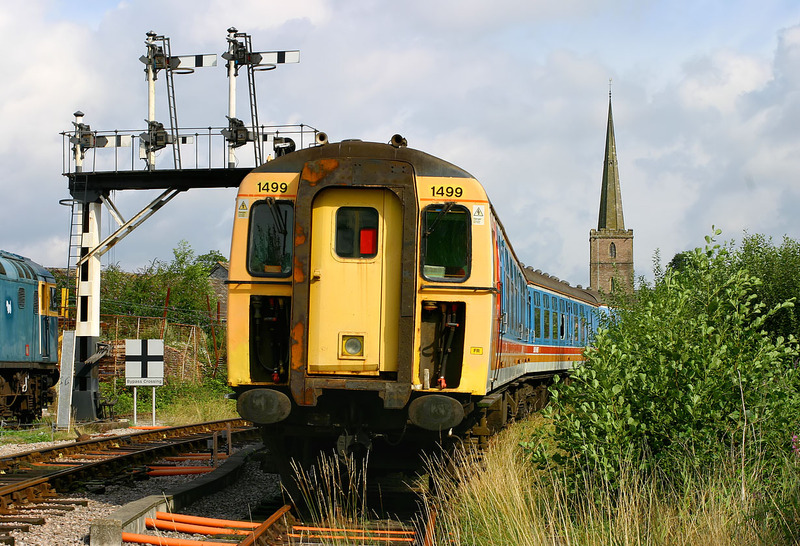 Even the humble slam door EMU eventually gets preserved, although it doesn't seem long ago that a trip to the Southern Region saw an unending procession of these units working most services.